Even before I seriously got involved with photography, I was a big fan of the Cross Processed effect as a type of photography. I liked the stylish, retro look which was so popular in fashion photography. Since I had a film camera, and my private darkroom in our bathroom when I was in high school, I understood how cross processed was achieved in film. I knew that when you deliberately develop film with the wrong chemicals you can achieve very interesting and artsy effects. Not surprisingly, when I finally bought my first DSLR and started to process photos in my digital darkroom (Photoshop), the first thing that I tried to achieve was the cross processed effect. Soon, I realized that it was not as easy as I expected. It required multiple steps and multiple tools (curves, levels, blending modes). The process of experimenting with cross process style was time consuming. Over the years, I developed my own presets and actions but I never found it to be friendly and fun. At the end of the post, you can find a short video that demonstrates the entire process in less than 2 minutes. Open Lightroom. Select the photo you want to work on. Go to the Development module of Lightroom. Find the Split Toning menu on the right panel. 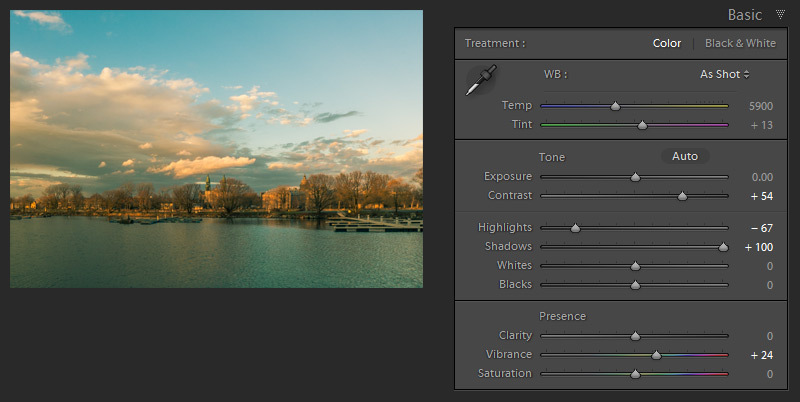 Set Hue value for Highlights to 50, Saturation to 50.Set Hue value for Shadows to 170, Saturation to 50. I always start with saturation value 50 and then I decide if I have to dial it down or boost it. At this point, the Cross Processing effect is achieved. Now we have to fine tune the image to achieve the look we desire. As you can see, the shadows are over saturated and we have to dial it down (value 25). At the same time, I want to boost the saturation of the highlights (value 66). The last adjustment slider is Balance. 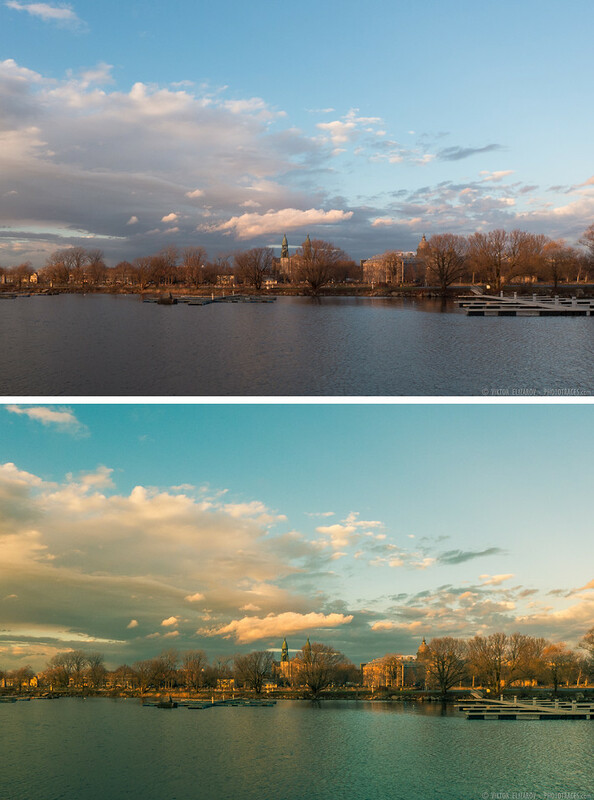 By moving the slider to the right, we can make the photo warmer and by moving it to left, we can make it cooler. I want to convey the feeling of a warm sunset light in this photo, so I move the Balance slider to the right (value +21). This is an optional step which has nothing to do with actual Cross Processing. I just want to improve the image in general by recovering some shadows in dark areas, boost the contrast and slightly increase the saturation. Jump to Basic Panel and have fun with the sliders. Another option to speed up the process of editing photos in Lightroom is to use Lightroom Rapid Editing when with only one click you can apply different looks and styles to your photos, including a variety of cross processed looks. If you are interested in exploring Rapid Editing, check my tutorial Lightroom Rapid Editing System in Action.